/ Modified may 7, 2018 6:41 a.m. The Center for Biological Diversity, Defenders of Wildlife and the Patagonia Area Resource Alliance have filed a notice that they intend to sue the U.S. Fish and Wildlife Service over a decision to not extend endangered species protection to the Patagonia eyed silkmoth. 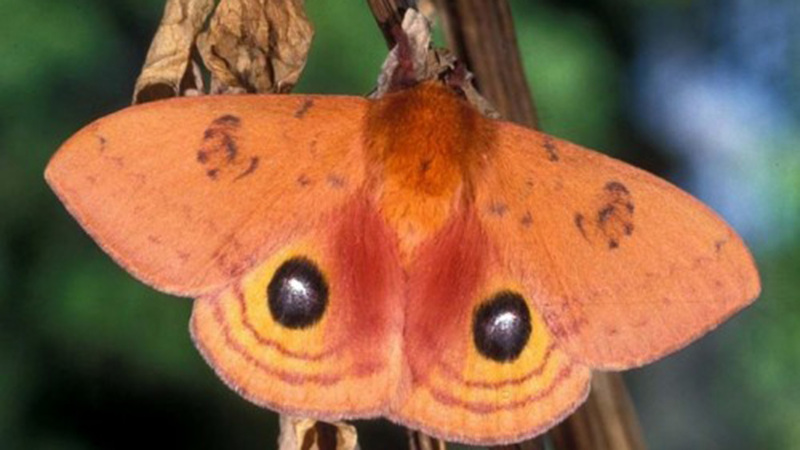 The moth's habitat is in the sky islands that straddle the Arizona-Mexico border, with its lone known habitat on the U.S. side in the Santa Rita Mountains. A lawyer for the Center for Biological Diversity said there are three groups who have filed exploratory mining claims that could prove detrimental to the species. "Future hard rock mining exploration and development is a concern that the Endangered Species Act could address," said Brian Segee. He also noted that the Patagonia eyed silkmoth has been found in an abandoned cemetery near the ghost town of Harshaw. The groups think the fact that the species is found in a gated area shows another possible cause of habitat destruction. "It's one of the few areas in the local vicinity that has been protected from livestock grazing, where this sole population, currently the only known U.S. population is found," he said. The notice gives the U.S. Fish and Wildlife Service 60 days to re-evaluate its decision to not protect the moth before the groups can file a lawsuit.